My Personal InboxPays Review - Is It Legitimate Or A Scam? You are here: Home / review / My Personal InboxPays Review – Is It Legitimate Or A Scam? 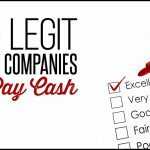 My Personal InboxPays Review – Is It Legitimate Or A Scam? 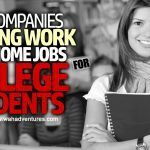 If you’d like to earn some money online, but you get bored taking surveys, then GPT sites might be a good option for you. 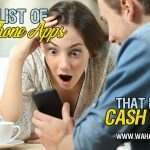 Offering a range of ways to earn money, you can choose what tasks you would like to complete and earn cash and rewards. However, not all GPT sites are created equal. There are huge differences in how much you get paid, user experience, and the types of tasks available to you – and unfortunately, there are some scams out there. InboxPays is a fairly new GPT site – let’s examine whether it’s worth signing up for. GPT stands for “get paid to”. It refers to a site where there are multiple ways to earn money, instead of just the usual paid surveys – although most GPT sites do offer surveys as well. Other common tasks that you can complete for rewards are clicking on email links, testing new products and services, and online shopping through the website. Swagbucks, PrizeRebel and InboxDollars are well-known GPT sites. InboxPays is relatively new on the scene, and what we know so far isn’t particularly promising. InboxPays is a branch of A&A Marketing Inc. from Chicago. They are known to the Better Business Bureau. They are not accredited, and their business as a whole has an F rating, with 37 complaints and the lowest customer rating of 1 star. They list several other market research companies under alternative business names, including Perfect Pay Check, Tik Tik cash, and Panda Research (which has many bad reviews as well). 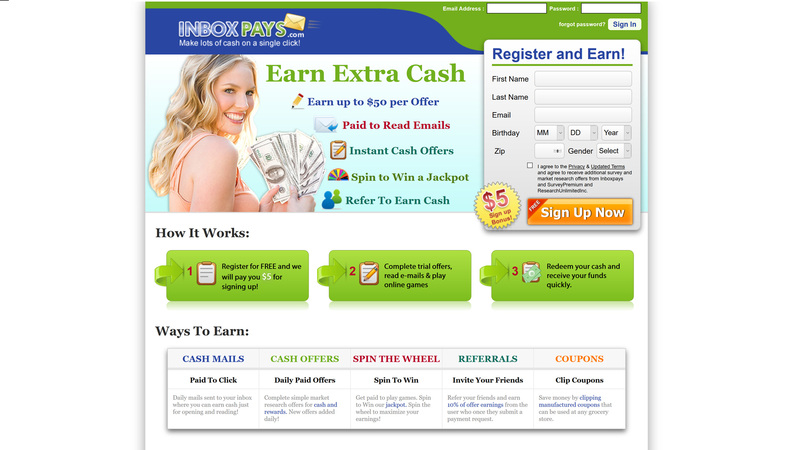 InboxPays essentially offers members the chance to earn extra cash by completing simple tasks. Whether the members will actually receive their earnings remains to be seen. It doesn’t cost anything to register, and once you do, you will get a sign-up bonus of $5. It sounds great, but when you see how high the minimum withdrawal amount is and how many conditions you need to meet to withdraw anything, it is a little less impressive. 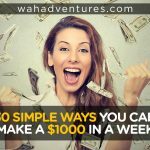 One of the main features of GPT sites are the number of ways you can earn cash. In this case, InboxPays is no different. 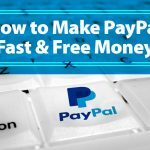 Here are some of the ways you can earn with InboxPays. Surveys. While there are other options available, surveys are still a major earner for InboxPays members. The range of payment is usually between $0.50 and $1. There isn’t a huge amount of choice when it comes to available surveys. Emails. Emails are sent out with clickable links that can earn you cash. There is a maximum of 3 per day, and you can earn 25 cents per click – so it takes a long time to add up. The email will usually relate to a product or service, so you will need to follow the link through. There will also be additional spam from this site – as well as the paid emails, prepare to receive other emails from trials, etc. that you sign up for. Spin to win. InboxPays features a lucky wheel that you can spin to win small amounts of cash or a jackpot amount. Generally, these features try to ensure that you keep coming back to the site. They’re great if you win, but like all gambling, the odds are against it. There are also daily polls and contests that can bump up your total – but it’s all based on luck. Free Trials. Most people on GPT sites say that trials are their biggest earner, as long as they are careful. Free trials pay you money to test out a product or service, and occasionally report back about your experiences. Paid trials. Paid trials often earn you more money, but they require that you give your credit card details. Either you pay for the trial and your compensation covers the payment amount plus extra as a reward, or you give your credit card details but aren’t charged unless you fail to cancel your membership before the trial period expires. Trials can earn you from $0.50 to $75. Referrals. If a friend signs up to the site using your referral code, you stand to earn 10% of the amount they cash out, every time. However, as it is extremely hard to cash out you could be left waiting for your $5. Payment for your time is where InboxPays seems to really let its members down. While some people do get paid, the number of hoops you have to jump through to get what you are owed makes it clear they are hoping you will simply give up so your work will be for nothing. First of all, the minimum cash out amount is $50, and you can only cash out in multiples of $50. That means that if you have $55, then you can only receive $50 – the other $5 will stay in your account until you can work out another $45 to redeem it. To make it even more complicated, it’s not enough just to have $50 ready to go. Certain percentages of that $50 must be earned from specific sources. So, for example, your $50 must be made up of at least $25 worth of offers or Spin Wheel earnings. You cannot cash out more than $25 of Cash Mail earnings at a time. If you meet all those requirements, you can cash out into your PayPal. As it’s an online transaction you’d expect it to be a simple process – but InboxPays have made this complicated as well. Once you submit a payment request, you will need to have that request verified by phone. That is not a normal step for GPT sites. Once you have verified the request, you still have a mandatory waiting period of 30 days. InboxPays only pays on the 1st or the 15th of every month – so if your waiting period ends on the 2nd, you have almost 2 more weeks to wait. This is ludicrously complicated. It’s very clear they’re just hoping you’ll give up with unredeemed credit. Even once you have done everything you can to get paid, you would be surprised to hear that the most common complaint is not getting paid, either after making a payment request or not being credited for work completed. It would take far too long to go into all the negative reviews of this site – let’s just say it is very hard to find anything positive. If you are still interested in signing up for this site, check out the reviews on their Facebook page – that should be enough to put you off. There really needs to be a middle category between a scam and legit. InboxPays is legit in the sense that it doesn’t ask for a joining fee, it puts all the information out there in the FAQ and Terms and Conditions, and it is part of a registered organization. It is legit in that it won’t sell your information (hopefully) and some people do get paid. However, it makes it almost impossible to actually earn any money. The reviews are so negative that it makes you wonder why anyone doing even a basic search before signing would continue to give InboxPays a chance. There is also the fact that your email account could be flooded with spam, and that it’s hard to trust that the third-party sites involved with surveys and tasks have been properly screened. In a word – no. InboxPays has very few good qualities, and even the things it does well you can find in a better form on other sites. There’s really not much to say in favor of this site. If you were limited to this or nothing it might be worth giving it a go – but in truth, you have lots of options. 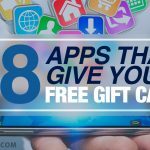 Sites like Swagbucks and InboxDollars are trusted, have multiple earning opportunities, fair payment schemes and are far better options for someone looking to earn money online. While no site will make you rich and you will still have to exercise basic caution with areas like signing up for trials, you are much more likely to have a positive experience with these market research companies. Give InboxPays a miss and check out a paid market research website that will fairly reward you for your time and effort. You won’t regret it.